Reduce, Reuse, Recycle are ideas that you should do in order. The less waste there is to begin with, the less there is that needs to be disposed of responsibly. Choose wisely when pur­chas­ing: Buy the best qual­ity you can, repair and main­tain items, and try to buy used or refur­bished instead of new. Sell, give away or donate reusable items instead of throw­ing them away. Here is a Local Donation Directory. Shop with reusable shop­ping bags. Avoid over-packaged prod­ucts and choose prod­ucts with recy­cled content. Drink tap water or fil­tered water from reusable bot­tles rather than bot­tled water. Use reusable dishes and uten­sils and cloth tow­els and nap­kins instead of single-use products. Avoid wast­ing food — nation­ally, about 40% of the food we pur­chase winds up in a landfill. Encour­age your work­place to start a recy­cling pro­gram if there isn’t one in place already. Par­tic­i­pate in Howard County’s curb­side recy­cling pro­gram (HowardCountyRecycles.org) and stay up to date on new recy­clable mate­ri­als. Also visit the other pages in the Recycling & Waste section of this website to learn more about Residential Recycling, Business Recycling and Composting. Litter continues to be a problem that vexes us all. 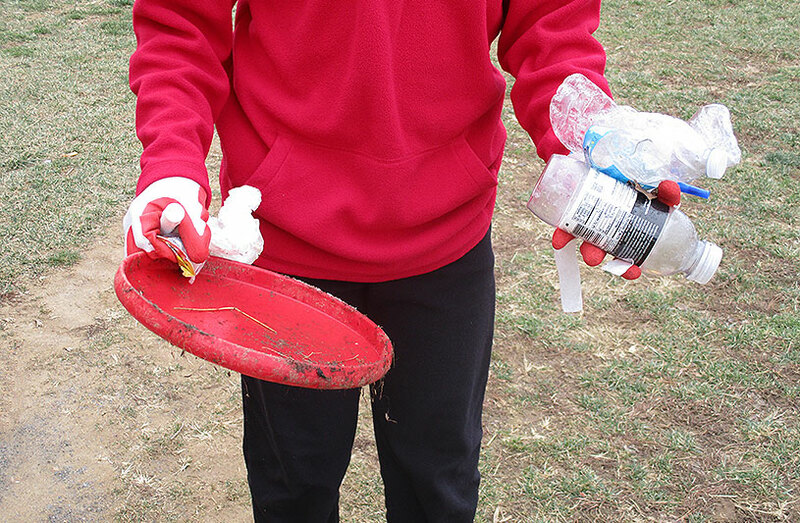 Many people go out of their way to pick up litter in their neighborhoods and in public spaces. Businesses spend millions of dollars every year cleaning up parking lots. You can help by setting a good example of not littering and participating in volunteer efforts listed on the Litter Cleanups page.